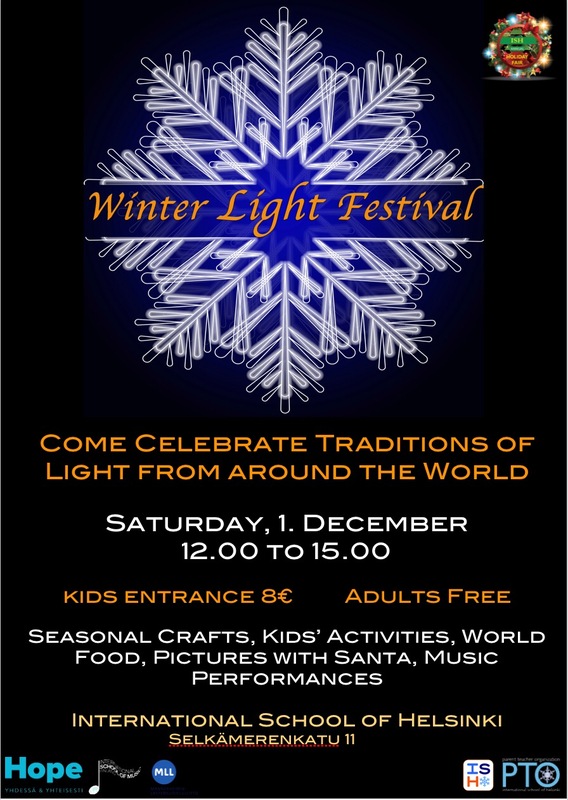 Save the Date for our Winter Light Festival on December 1st! This year, we are proud to partner with the International School of Music (ISM), Hope and Mannerheim League for Child Welfare (MLL). There will be music performances, foods from around the world, craft vendors and diverse children’s activities. Welcome!